We have been designing programs in Leadership, Financial Modelling and Management for 20 years. Our clients are individuals who book onto our public courses or companies who run in-house programs. At Bayfield, we are also entrepreneurs and pioneers with many of our training products industry firsts. And, we practice what we teach. Our success over the last 20 years’ stems from a deep understanding that each company’s Education Strategy needs to demonstrate a tangible return on investment. You can trust us to be your skills partner. We are a very enthusiastic and vibrant young team. A multicultural company where people share their traditions and experiences together in an open plan office. This provides an environment where we can learn from one another. We believe that training is key to building your future. We go on courses, meet with experts and train ourselves every day to create the best education for you and your company. Sonia studied Business Administration before getting a Master’s degree in Development Economics. 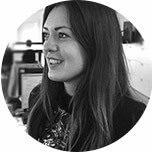 In 2013, she started working at Bayfield Training as a Product Development Assistant. Sonia has been recently appointed as the Chief Executive Officer of Bayfield Training, which entails managing an enthusiastic team based in Cambridge. Sonia’s role includes overseeing the different departments within the organisation, creating relationships with stakeholders and making strategic decisions towards the company success. With a genuine passion for the Real Estate Sector, Sonia regularly attends conferences and networking events with like-minded peers. Despite living in the UK for the last eight years, as a Spanish native, Sonia always finds a reason to go back home when time allows her. 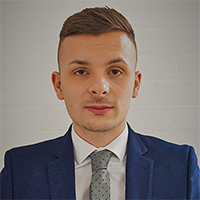 Jacob has developed skills in many areas of the business which has helped him progress from a Marketing Apprentice to Business Development Manager, since joining the business in November 2012. Jacob oversees the day-to-day running of the administration, finances and sales of the company, as well as international project work for new markets across the globe. With all the projects, Jacob is a familiar face to those at conferences and courses both in and outside of the UK. Jacob represents Bayfield by ensuring that our clients’ needs are not just met, but exceeded in as many ways as possible. Outside of Bayfield, Jacob plays football at a semi-professional level for Haverhill Rovers FC, playing in the Eastern Counties League. Kendal has been with Bayfield since 2014, initially starting as an Apprentice he has developed into a key individual in both the sales and course administration departments. He recognises the customer needs and ensures that our clients attend the training that is best suited to their requirements. 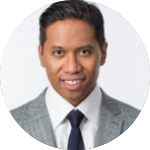 His role involves identifying key market opportunities as he is primarily focused in the UK, Europe and Americas markets. He is focused and driven, with a hands-on approach Kendal ensures the company KPI’s and targets are met. Furthermore, Kendal also represents the company at events and conferences nationally. Natalie invented real estate financial modelling (REFM) as a subject in its own right. She developed the very first course on REFM leading to degree status, MPhil Real Estate Finance at the University of Cambridge. Using her unique integrated KPI led approach, Natalie has consulted on the financial and operational viability for major retail developments and new city projects all over the world. Natalie is committed to sustainability and has a long term interest urban dynamics. As well as working with large international shopping centres, in her spare time she volunteers for the remote Glendale Highland Market on the Isle of Skye in Scotland, which she helped establish in 2015. 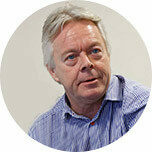 Nigel studied Graphic Design at the Leeds College of Art graduating with a Bachelor Honours degree. 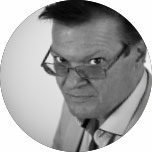 Upon joining Bayfield just over eighteen months ago, Nigel works in various sectors of the business such as; advertising, marketing and educational material to name a few. With a keen eye of detail and passion for all things print, he believes in creating beautifully crafted design that is intuitive and engaging, giving any piece of artwork as much impact as possible. As our sole in-house designer Nigel enjoys generating innovative concepts across all our marketing material for both print and digital, and incorporating style and panache to the Bayfield brand. Outside of work, Nigel remains creative with a keen interest in sports illustration and designing his own t-shirts. 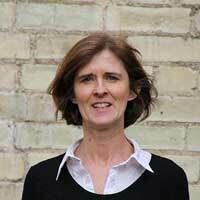 Michele has been working with Bayfield training over the last 15 years. With her valuation background, an interest in spreadsheets and a love of helping people she considers training with Bayfield to have been a lucky find for her. 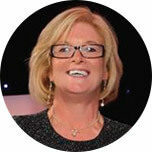 Michele gained her degree and worked mainly in valuation roles in two London based property companies. 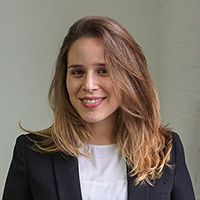 Having qualified as a chartered surveyor and had six years in practice, she took a year out and travelled around South America. On returning home, she decided to move into the IT support and training side of surveying. She enjoys the continual learning that comes with teaching and the ability to apply her property knowledge to the class room. Being lucky enough to work part-time, Michele has the space to run around after her daughters, walk the dog and sometimes even get to the allotment. Bayfield delivers courses to respected individuals within the real estate industry from all over the world, who are vested in sharing their knowledge and expertise with our delegates. Experts contribute to the course content and can provide immense insights about the latest trends in the industry. One of the world’s leading authorities on global retail. From 2007 to 2015 he was Head of Retail, France and Senior Director, EMEA at CBRE, the world’s number one real estate advisory firm. 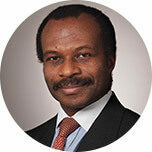 Today he is a special advisor to global brands and investors at his own consultancy firm, Chris Igwe International. 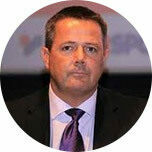 After heading European Real Estate for Foot Locker and then Gap, Chris joined ICSC as European Managing Director. 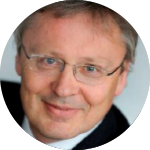 Chris is an international speaker and has been a Jury Member for international organizations such as ICSC, RLI, CNCC. A Chartered Civil Engineer and an active member of ICSC and ULI (Urban Land Institute), For several years he has been a Steering Committee Member of MAPIC in Cannes and has been Master of Ceremony for MAPIC Shanghai and Cannes. A Professor of Retail Studies and Head of the Stirling Graduate School at the University of Stirling. He was a geography undergraduate at the University of Cambridge, and completed his Ph.D. on retail employment at the University of Wales. He is well-known for his research into aspects of retailing. 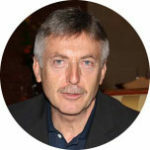 He has authored and edited a number of books, has published over 125 refereed journal articles as well as many practitioner, trade and newspaper pieces and runs a Scottish retailing blog. James Beers manages the 120 megawatt cogeneration plant, including fuel purchase policies, utility company matters, steam host relationship, banking and contract negotiations. Prior to this, he was a Co-Chairman at McArthurGlen UK, Europe’s leading designer outlet developer and operator. He was the founder of Beers & Cutler which became one of the largest CPA firms in Washington, DC. James has completed a Commercial Science degree at Ben Franklin University, Washington and has also taught at universities in different countries. He started his career in retail, spent 18 years with Allders department store working as a management trainee progressing through management roles, including buying and merchandising. He then spent 3 years with Ikea in their store management team. Steve has been at the Oracle shopping centre for 14 years. He has had the pleasure of wining the BCSC top ACE Award and numerous BCSC Gold Awards for the best established centre to health and safety Awards. Throughout her 15-year career, seven of which have been focused directly in environmental impact, Carol Wakelin has been instrument in securing and implementing changes to deliver best practice and industry leading standards. Carol has embedded a culture of energy management and environmental responsibility in those around her and changed and shaped attitudes towards waste management and energy consumption. Most recently, Carol achieved the new ISO 14001:2015 in just four months, securing Queensgate as one of the first shopping centres in the UK to achieved this new standard. Clive was formerly the Chairman and Founder of SCG International. A qualified architect and branding specialist, he has extensive international experience across a wide range of different markets including real estate, workplace, retail, leisure and banking sectors. For a number of clients he acts as trusted advisor, playing a wider strategic role that spans a variety of disciplines and responsibilities. His involvement in complex projects where different interests come together, gives him a particular understanding of the challenges and opportunities facing real estate developments. He has worked extensively internationally and in the UK, including Russia and Eastern Europe with local and international developers including Millhouse, AIM Property Development, Corporation AND, Centrumveckling and AEG. He has also worked on real estate projects in the Middle East, Turkey and India. 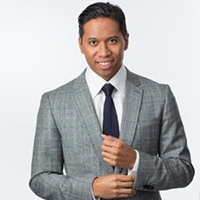 He has a special interest in the creation of effective place brands to achieve a synergy of environment design and architecture with marketing and communications to achieve unique shopping and leisure destinations. Nelia currently works at Local Data Company (LDC) as Relationship Manager. She joined LDC having previously worked at IBM, and works with Institutional Investors, Private Equity, Banks, Landlords and Developers. She received her Certificate in Investment Management in 2014. Nelia has developed a strong understanding of a wide variety of investment strategies along with the threats and opportunities investors face in such a fast changing occupational market. 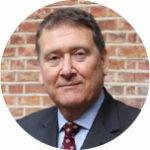 Anthony Banfield is a chartered surveyor who has many years experience from working in local government, private practice, for property companies and in academia. 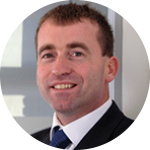 He has been a member of the ICSC for the last eight years and was a member of the BCSC from 1999 to 2010. Anthony revised, edited and contributed to the current edition of Stapletons Real Estate Management Practice as well as being involve in the preparation of Parry’s Valuation Tables. 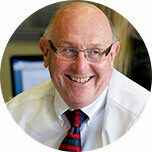 He has authored the last two editions of A valuer’s guide to the Red Book for RICS, and is a contributor to iSurv. Tony Longstaff has spent much of the last 20 years working in the industry mostly involved in the development of the centre:mk Milton Keynes- one of the largest and most successful shopping centres. The has lectured with the ICSC over the past 13 years at their European summer schools and also with them in Dubai, Kiev & Istanbul and brings a broader perspective on the issues of marketing and shopping centres in general to this program. Katarzyna is Qualified Polish Valuer and a Chartered Surveyor (Member of The Royal Institution of Chartered Surveyors). She holds a master’s degree in economics from the Warsaw School of Economics and an MSc, Property Appraisal and Management from Sheffield Hallam University. She has also completed postgraduate studies in real estate valuation at the Warsaw University of Technology. Katarzyna has gained over 11 years of property experience as a valuer, property consultant and market analyst. She has been engaged in over 500 valuations and related projects across all property sectors including retail, offices, warehousing, hotels and residential across Poland, including property portfolios owned by Polish and international investment funds. The values of the properties valued total to over 5 000 Million Euros. 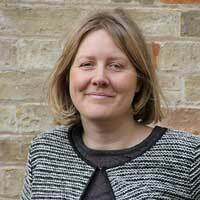 She has an expertise in undertaking development appraisals and development land valuations. 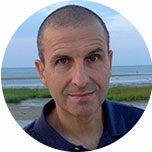 Richard is Founding Principal of The Monomoy Company, a strategy firm for the built environment. The Monomoy Company’s mission is to help clients successfully merge environmental and business performance by transforming and leveraging their approach to sustainability. Richard helped deliver the World Green Building Council’s (WorldGBC) landmark report on health, wellbeing and productivity in offices. He has been retained by WorldGBC to develop workstreams and strategic partnerships for the Better Places for People campaign. He led the team that recently published the global report entitled Heath, Wellbeing & Productivity in Retail: The Impact of Green Buildings on People and Profit. Richard is currently piloting projects with leading global companies and organisations to understand the intersection of sustainability and technology and its implications for the real estate industry. Lawrence has over 35 years property experience acting as the Professional Client/Developer delivering high profile complex projects. 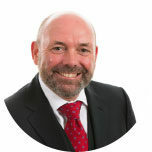 He is currently Managing Director of Property Consultancy Ltd, providing Real Estate and Development advice to the Private Sector and Public Sectors including joint venture partnerships, regeneration, and strategic planning. 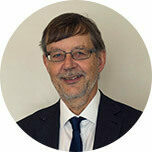 Lawrence is a Chartered Planning and Development Surveyor, Accredited Commercial Mediator and is an affiliated lecturer at Cambridge Universities Land Economy Department for Real Estate finance and Development. As Projects Development Director at Grosvenor for 25 years, he was responsible for the delivery of major complex high profile projects including business parks, offices, urban regeneration projects and mixed-use Town Centre developments specialising in Shopping Centre Developments (Bolton Market Place, Cambridge Grafton Centre and Grand Arcade, Basingstoke Festival Place, and Liverpool One) with a total value in excess of £3,000m. More recently as an independent consultant he acted for West Ham Football Club and Newham London in the bid for the Olympic Stadium post games and its conversion. He also advised on the deliverability of the Athletes Village together with other high-rise developments in the area. Other notable contributions to the industry include the RICS publication “Financial Viability in Planning” and “Shopping and Transport Policy”, RICS APC Panel Chairman Planning and Development, UK trade & Industry delegation to India on Land Economics. I have been a footfall industry professional for the best part of 20 years and have an in depth understanding of all technologies used for the counting and tracking of footfall. By combining this expertise with my knowledge of the Retail & Real Estate Industries I am able to offer my clients real insight on performance and productivity through the delivery and analysis of industry specific Key Performance Indicators. PFM Footfall Intelligence offer systems to count and track people movement in any indoor or outdoor situation. The information provided supports our clients in making key operational and strategic decisions. Whether you operate an individual outlet, a retail chain or an entire shopping centre, PFM can supply a total package to answer every requirement. Mark is a long-standing journalist, speaker and consultant specialising in global retail and retail real estate strategies, with a particular focus on retailers’ changing requirements for stores against an omni-channel backdrop. 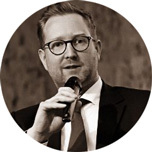 Mark is editor of weekly European investment title Retail Property Analyst, editor of the publications produced by Europe’s biggest retail property event – MAPIC – and the high level retail summit World Retail Congress. He contributes regularly to a range of business and retail publications including the Economist Intelligence Unit, Design:Retail, Retail Week, Estates Gazette, Stores + Shops and FTSE Global Markets. He also speaks regularly at events around the world, with engagements including briefings in Sydney, Melbourne, New York and London, the World Retail Congress in Paris, MAPIC in Cannes and the South African Council of Shopping Centres in Johannesburg. Audra is a Corporate Trainer and Experientialist, Speaker, Turn-around Artist, Consultant and Coach in such areas as retail, residential, property, hotels, media and construction. Audra’s passion is hospitality and property, whether launching new properties or being part of turn-around projects. One such mixed-use scheme was a distressed, open-air shopping centre in Atlanta, where she and the top team turned it around within 18 months, starting with the safety and security team, who became ‘Hospitality Hero’s’; making it the 2nd most tweeted retail spot in the US. It became the 1st shopping centre to win 4 gold’s and 1 silver in the MAXI awards in the US in 2012. Audra has been on the Committee for The Retail Trust since 2013 and is particularly focused on customer experience around strategy, service, hospitality and branding for her clients. 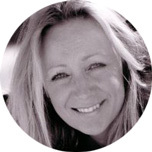 She immerses herself in her client’s environment, mystery shops globally and gains commissions by capturing the client’s unique DNA and differences, then designs that into the fabric of the learning and development programmes. Audra observes her clients’ people, personalities, and their and working styles, bringing about awareness, recovery and then revenues for all parties, through experiential learning and practice. 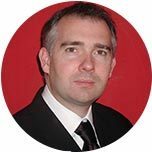 Joseph Leftwich is a British retail consultant with extensive experience of helping retailers and brands to grow their businesses at home and overseas. With a global client-base representing the full spectrum of retailing – product designers, retailers, tech firms, mall owners, and investors & entrepreneurs of all sorts – he and his colleagues at Retail Management Consultants offer professionally-managed expansion services into global markets. Joseph brokers the joint ventures and franchises that enable retailers to expand into new markets. And having concluded deals this year that will see the opening of 100+ stores across 13 countries – including Libya, Russia, Estonia, Latvia, Lithuania, Singapore, Vietnam, Cambodia, Laos, Myanmar, Indonesia, the Philippines, and Hong Kong – he plays a crucial role in enabling mall owners to add exciting new brands to their tenant mix. 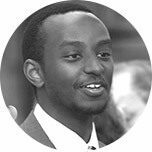 A graduate of Heriot Watt University (Edinburgh, Scotland), Joseph worked with the British Government before joining Retail Management Consultants in 2005. Antony has been developing online services and products within the commercial real estate sector since 1995, when he launched the ﬁrst commercial property website in the UK. For 12 years he designed, developed and hosted the UK and European websites for a major real estate advisor, and in 2001 launched the Property Management and Building community service vicinitee.com as a joint venture with Broadgate Estates, the property management arm of British Land. Vicinitee works with ofﬁce and shopping centre owners across the UK and Europe. Today Antony consults on how technology is impacting real estate, and the digital strategies needed to adjust to this new market. He also write a regular column in the Estates Gazette. Peter has over 25 years’ experience as a technology business consulting professional, constantly at the cutting edge of industry developments. Previous consulting roles in technology for manufacturing, oil & gas, print & newspapers, defence and National Scientific Research mean that Peter has worked on a wide range of exciting projects; helicopter simulators, national real-time planetariums for the Beijing Olympics, movie production and special effects, and Fluid Dynamic systems for various F1 teams to name a few of the wide gamut of projects. Peter graduated from Ashridge Management College with a Master’s Degree in Business Administration and is currently President of Ipsos Retail Performance, providing advice, data and analysis to retailers and public spaces around the world, with a wide range of leading and prestigious brands. Working at a strategic level with a number of clients, Peter leads the development of services and business consulting for non-invasive techniques, including people metrics in shopping centres and public spaces, utilising people counting through traditional cameras, Wi-Fi tracking, Customer Journey management and behavioural studies. Each with the soul aim of moving the needle for the client.Retail and public space innovation is at the core of the business with recent examples including the creation of ‘Real Time’ occupancy counting for London’s Sky Garden and an in-store app to assist store staff understand their data at a glance. Principles within the business are driven around client quality and service, something which Peter is passionate about, and Ipsos Retail Performance is uniquely underpinned by ISO standards 9001; 20252 and 27001. Peter has successfully grown Ipsos Retail Performance’s deployment to over 50+ countries in last 5 years and is passionate about continuing to work closely with clients on their journey. Dr Tim Denison is a regular commentator, broadcaster and conference speaker on retail matters, particularly those related to behavioural issues. Trained formally as a social scientist and a marketer, Tim has worked for Ipsos Retail Performance since it was established over 28 years ago, and he is now regarded as one of the world’s leading retail psychologists. His primary role is in helping retailers to understand better how their customers shop their stores and why they behave the way that they do, using Ipsos’ unique set of measurement and research tools. 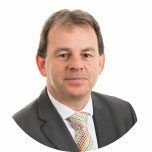 Before joining Ipsos Retail Performance, Tim managed the Institute for Advanced Research in Marketing at Cranfield School of Management in the UK, where he specialised in retail and branding issues, working on key research and policy initiatives on behalf of organisations such as the European Commission, BP and BT. He is also a co-founder of the KPMG/Ipsos Retail Think Tank (RTT). 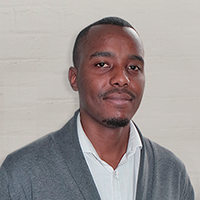 Andri is a financial modelling consultant who focuses on the performance of private equity real estate. From a corporate finance background in a Fortune 500 company, Andri uses his financial modelling skills to solve real estate problematic. For over 5 years, he performed the financial models for multiple asset classes (office, retail, hotels) across multiple geographies (France, Germany, Belgium, Luxembourg). He supported investment funds as well as family offices. In his last role, he was managing the end-to-end transaction process for a multi family office located in Luxembourg. Andri advises on all the financial and structuring aspects of a transaction. He also provides portfolio modelling to help benchmark performance and set up financial information for fund raising process. Further to his advisory role, Andri is working towards a PhD at the University of Cergy Pontoise in France to hone his quantitative skills. His area of focus is the reapplication of private equity metrics such as public market equivalent and tracking error to the measure of real estate private equity performance. 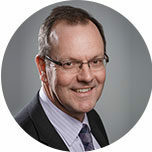 Malcolm has 20 years of experience in real estate data, modelling and risk management techniques. He founded Real Estate Strategies in 2013, an independent management owned business that provides high quality forecasts, research and strategic consulting on the European real estate market. Prior to Real Estate Strategies, Malcolm was Director of Research at IPD. 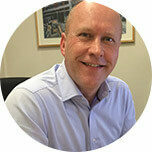 Alex has been involved in research and transactions in the listed property sector for over 30 years. His career has encompassed sell side research, corporate broking, investment banking and private equity. He has written articles for numerous professional publications and is a regular speaker at conferences globally. 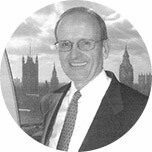 He is a member of the EPRA Research Committee and was Chairman of the IPF Research Steering Group which sponsored the report on Real Estate Allocations within DC Pension Schemes in the UK. He is Chairman of the Investment Committee of the Investec Global Real Estate Securities Fund, which he has been involved with since inception, and In January 2015 he was appointed a Visiting Professor at Henley Business School, University of Reading. An international retail property consultant with 25+ years experience in the retail, commercial property sector, specialising in shopping centres. A hands on and inspirational leader who has a measurable history of delivering exceptional customer-centric results. Working from front line operations in retail through to the boardroom in retail property management. 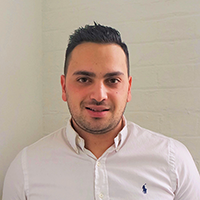 Gary has an enviable depth of experience that is utilised by a growing number of landlords, developers and agents in the UK, Mainland Europe, Middle East and North Africa.